Call our office today to speak with one of our well educated professionals about our local market. Comprised of Woodland Park, Divide, Florissant, and Cripple Creek, Teller County has much to offer. Easy commuting to Colorado Springs, this community has all the benefits of Mountain Living while being close enough to shopping, dining, and recreation. Just a short trip to ski resorts and gold medal fishing. Living in Teller County is like having a National Park in your backyard with Camping, Hiking, Fishing, and Hunting (just to name a few) right in your own community. 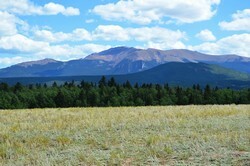 With a rich history, lying at the foot of Pikes Peak, this area has much to offer the discerning Buyer. 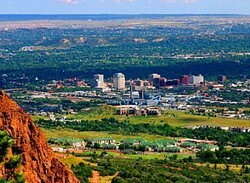 There are few places that can wrap as much into one region like Colorado Springs can! From a cultural aspect, one can find excellent theater, arts, and music. Recreation within the City, as well as adjacent to, is limitless! There are fantastic educational opportunities within traditional school walls as well as throughout the communities that comprise Colorado Springs. Everything Colorado Living should be! Quiet rural living and close to all recreation, Park County spans over 2,200 square miles. The beauty of the Colorado Rockies shows some of its finest areas within the boundaries of Park County. Whether you are looking for a Ranch or a Cabin in the Woods, Park County much to offer.